I had an amazing time at the intu uxbridge student lock in on Tuesday, which you can read all about, right HERE! I only went because I wanted to buy a hat, however I came out with a lot more than what I expected! Where everyone else was rushing to Topshop and New Look, I went straight for River Island, to grab my standard never changing beanie that I will always love! There were so many colours to choose from, and I couldn't make up my mind so I bought two! 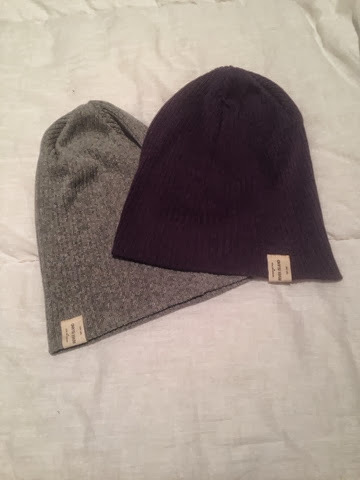 A grey one and a purple one, and at £8 each, with a further 20% off on top, I honestly couldn't resist! 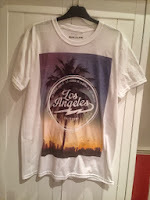 Also in River Island I found these two tee-shirts that I absoloutley fell in love with! The Los Angeles one is actually for men, but when has that ever stopped me before? I figured I could customise it make it look a bit funky... 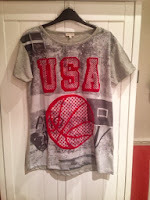 Wear it with a pair of shorts! Sounds good to me, and it didn't break the bank either at £16! The other shirt I bought is a little different to what I would normally wear, but I liked it, so I bought it anyway! Plus the material is super soft! This cost me £18. After looking in a few more shops, I found myself in H&M where the queue was trailing up and round the back the back of store! I wouldn't have braved it, if it wasn't for this army style type jacket, and jumper (which also has really super soft material) . I apparently forgot to take a photo of the jumper, stupid Kirstie! 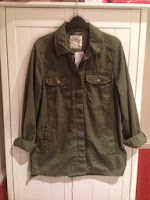 The jackets was £29.99, and the jumper was £14.99 plus the 20% discount that H&M, means I'm a very happy bunny! I didn't actually buy anymore clothes, mainly because by the time I escaped the queue in H&M, it was nearly 10pm, but I did wander into HMV, and pick up the perks of being a wallflower for £5! Yay! 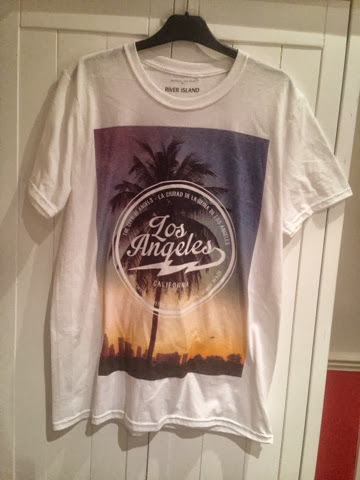 Overall I'm really pleased with what I bought at intu uxbridge's student lock in! I hope they have another one after Christmas, it'll be good to see what else I can pick up on a bargain! Oh how I'd love to be a student again!